Click the "i" for details on the transaction type. Add new transactions or new discounts. Add new payments, credits, and refunds. Add date to new charge/discount. 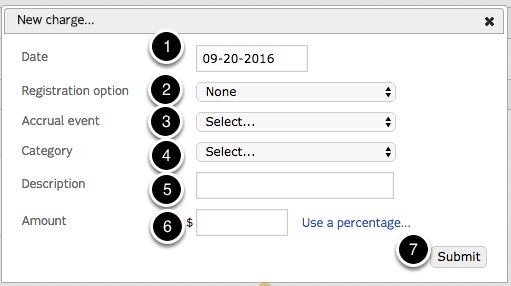 Enter the dollar amount you want to use or select percentage and choose what percent you want. If choosing credit card or checking account select which one to use. 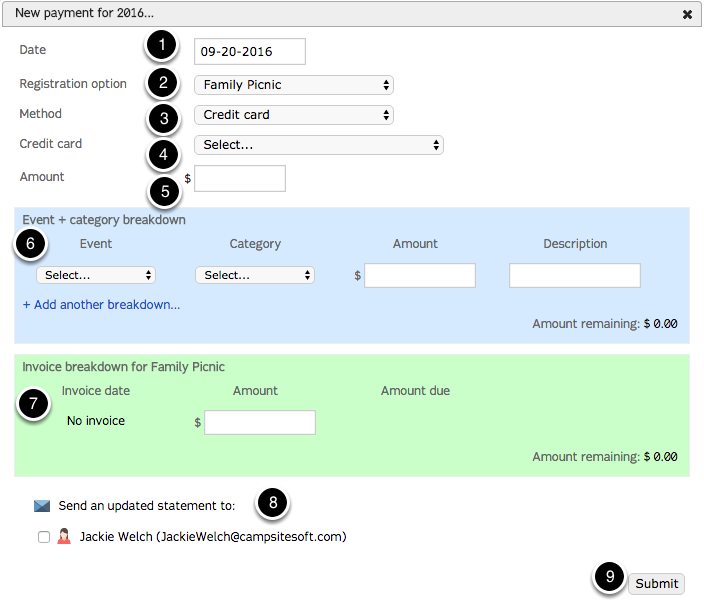 Select the event, category, set the amount and add a description for the new payment. Set the amount for the invoice. Send a statement to the leader of the group. Add a description of the credit. Select the method for which you will refund the groups money. Add the amount to be refunded. 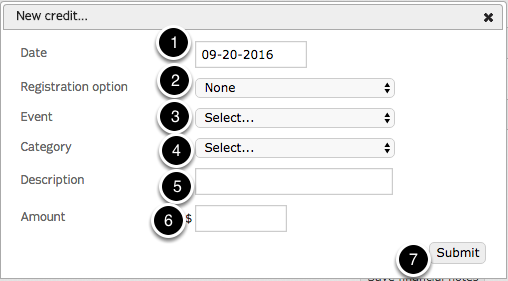 Select the event, select the category, set the amount that you typed above, and add a description. 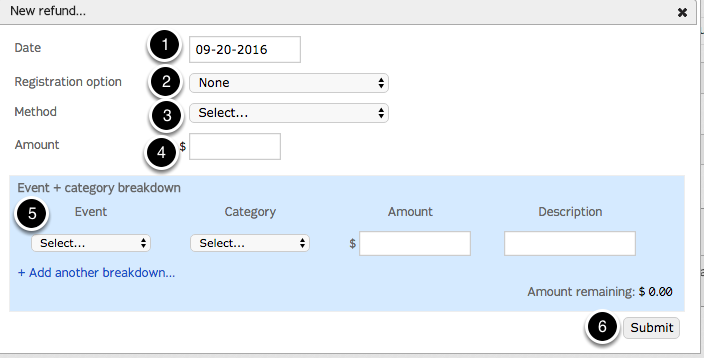 Double click to edit an existing invoice. 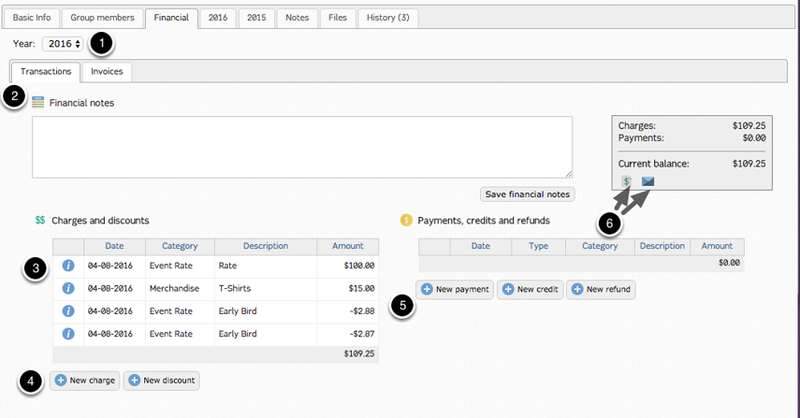 Double click to generate an invoice. Double click to send an invoice. What is the difference between Statements & Invoices?